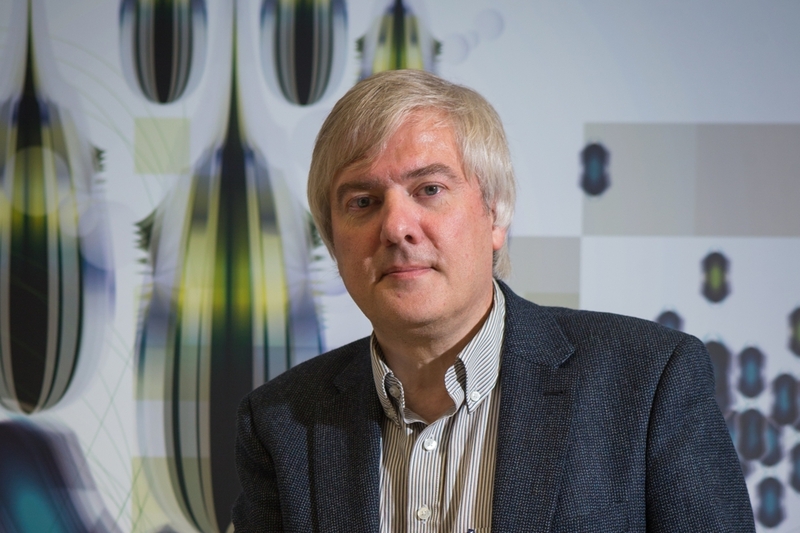 On 9 December 2016, the AMiCA project organized their closing symposium to present the results of this 4 year interuniversitary research project. The symposium was organized around the three use cases in the AMiCA project and featured guest lectures from a variety of organizations, who framed the problems from a societal angle. Below you will find some impressions from that day, including slides and posters. K. Van Royen, “Thinking before posting? Reducing Cyber Harassment by Adolescents through a Reflective Message”, Designing Moral Technologies: Theoretical, Practical, and Ethical Issues. Zurich, Switzerland, 2016. AMiCA paper wins Best Paper Award at HUSO conference! 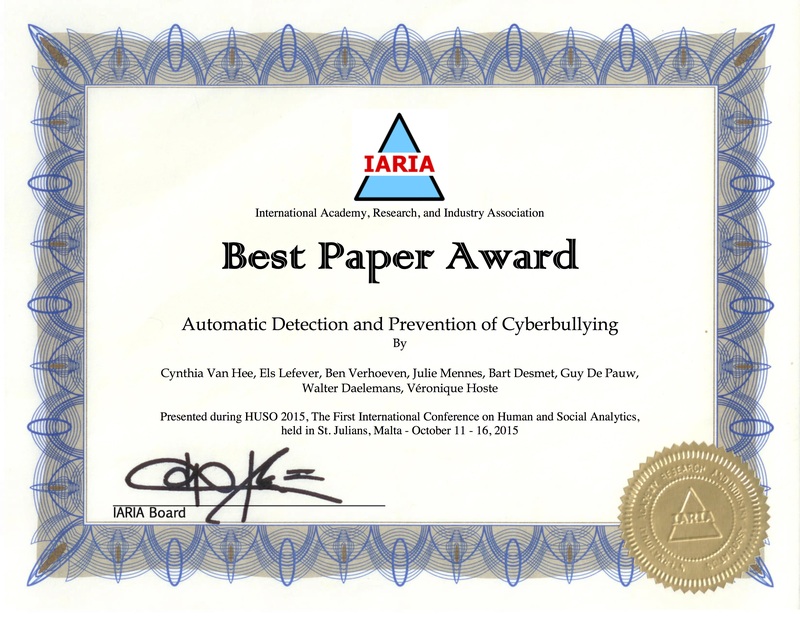 The paper "Automatic Detection and Prevention of Cyberbullying" by Cynthia Van Hee and her AMiCA co-authors has won the Best Paper award at The First International Conference on Human and Social Analytics. The award-winning paper will soon be available from this site. Read more about AMiCA paper wins Best Paper Award at HUSO conference! Kathleen Van Royen (MIOS) was interviewed for the TV show Volt on the topic of hate speech on social media and the potential of AMiCA-technology in this context. You can watch the broadcast by clicking on the image below. Kathleen's interview starts around 10:50.